After last week’s drama and learning the first 4 teams to reach the Quarter Finals, now we will learn the other 4 teams to qualify for the next round. 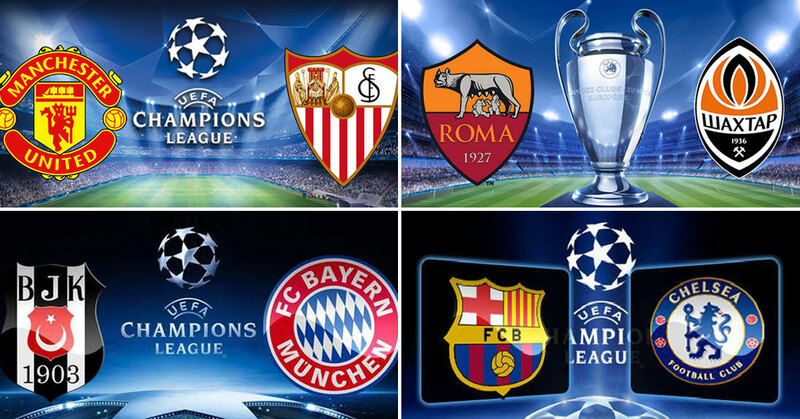 Liverpool, Manchester City, Juventus, and holders Real Madrid are expecting to learn the other 4 teams which are going to be presented at the draw later this week. Manchester United and Chelsea have the chance to add to the English club’s presence in the tournament, but their task will not be that easy because they must overcome Sevilla and Barcelona respectively. Jose Mourinho’s side will seek to edge out the Spanish side after claiming a valuable draw a fortnight ago. United’s goalkeeper David De Gea made a number of great saves in order to prevent Sevilla from scoring and now the English side must attack and win the game because a goal draw or Sevilla win we’ll see the Red Devils crash out of the tournament. United are coming back after a morale-boosting win over their rivals Liverpool in a game which saw Marcus Rashford netting a brace. Daley Blind, Ander Herrera, Phil Jones, Marcos Rojo, Zlatan Ibrahimović are injured and are going to miss out and the condition of both Paul Pogba and Anthony Martial is going to be further checked before deciding whether they will feature in the game. For the visitors, the appearance of Sébastien Corchia, Jesús Navas, Daniel Carriço is remaining doubtful. The Spanish side earned themselves a reputation of experts when it comes to European elimination games and Vincenzo Montella’s side must be on top of their game if they want to proceed in the tournament. The Italians slipped to a defeat after being in a leading position after Cengiz Ünder opener and will be looking to make up for their 1st Leg loss. If Eusebio Di Francesco turns to Roma’s past record in Round 16 of the Champions League, he’ll find out that his team has lost all 5 of their last ties. Roma’s last appearance in the Quarterfinals was 12 years ago and if they want to end the bad record, they must win against their Ukrainian opponents. Even a 1-0 win would be enough for Giallorossi and their chances are boosted by the fine form of their keeper Alisson, who kept 3 clean sheets in all 3 home games in the group stages. The visitors could not rely on their talismanic captain Darijo Srna, who is suspended and will miss the game in the Italian capital. Roma has given themselves an uphill task by squandering the lead in Kharkiv, but confidence is high after league wins over Napoli and Torino and, with a full-strength side available, the Giallorossi have what it takes to get the result they need to go through. The Turkish champion has to play only for the pride after a heavy loss in their 1st Leg defeat against the German giants. Both Tomas Müller and Robert Lewandowski scored twice as Bayern recorded the biggest home first-leg victory in the UEFA Champions League knockout phase. Domagoj Vida is suspended after he saw a red card during the first half of the game in Munich two weeks ago. No club has ever managed to recover a five-goal first-leg deficit in UEFA competition. Four have overturned a four-goal first-leg loss: VfL Borussia Mönchengladbach beat Real Madrid CF 5-1 at home in the 1985/86 UEFA Cup third round, only to lose the return 4-0. Leixões SC (against FC La Chaux-de-Fonds, 1961/62 European Cup Winners’ Cup first round) and FK Partizan (Queens Park Rangers FC, 1984/85 UEFA Cup second round) overturned 6-2 away losses with 5-0 and 4-0 home victories respectively. FC Barcelona holds the record for the biggest first-leg deficit overturned in the UEFA Champions League era, recovering from a 4-0 away loss to Paris Saint-Germain with a 6-1 home win in last season’s round of 16. This is Bayern’s 14th round of 16 ties, and the German champions – who finished second in Group B – are closing in on the quarter-finals for the seventh year in a row. After playing out entertaining 1st Leg in London, Barcelona is favorited go through against their English visitors. Leo Messi broke duck against the Blues on the ninth attempt when he scored the equalizer on Stamford bridge materializing on an Andreas Christensen error. Despite this error led to Barca’s goal, Chelsea’s defense performed really well and Antonio Conte must be disappointed after his team failed to gain an advantage in the home game. Willian performed superbly and hit the woodwork twice so he will remain a threat to Spanish defense. FC Barcelona hold the edge in their tie thanks to the away draw, although the London side has a more than the respectable record at the Camp Nou, where they are unbeaten in their last four visits. It’s interesting to see whether Conte will throw ex-Real Madrid striker Alvaro Morata or he will play without a striker with Eden Hazard leading the line as a false nine. Olivier Giroud is providing another option and could be used in the later stages of the game if Chelsea needs to hold up the play or need an additional threat in set pieces. Barcelona’s captain Andres Iniesta is remaining doubtful but Ernesto Valverde is having a plenty of options in the middle – Ivan Rakitic, Sergio Busquets, Paulinho, Sergi Roberto and Andre Gomes. After an amazing success rate of our EL predictions from last week we will be hoping for more of the same. 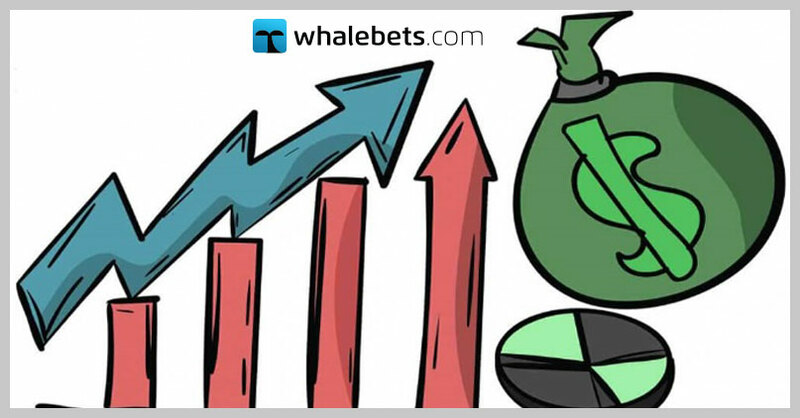 If you are serious about your betting join the Whale family VIP Program and get over 200 predictions per month. Let`s bust the bookies.